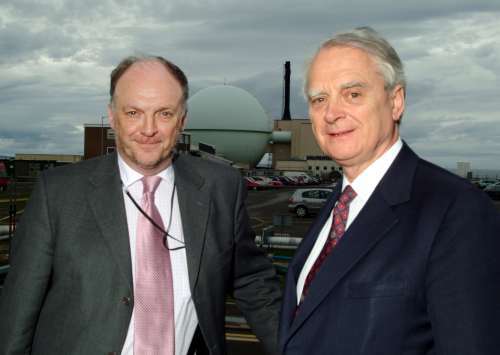 The Rt Hon Lord Robert Maclennan visited Dounreay this week giving him the opportunity to meet Norman Harrison, Dounreay Director. This was Robert Maclennan's first visit to Dounreay since he stepped down from parliament in 2001. During his visit he toured the site to see some of the changes that have been made and had a tour of the Dounreay Cementation Plant.. He is pictured here with Norman Harrison.